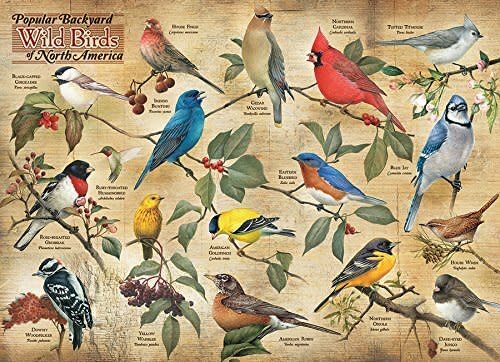 Home » 1000pc Backyard Birds of N.A. Cobble Hill Puzzles 1000pc Backyard Birds of N.A. 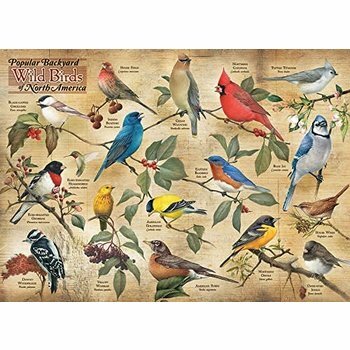 Popular Backyard Wild Birds of North America are labeled with their common and scientific name in this 1000 piece puzzle with illustrations by artist Catherine McClung. Cobble Hill Puzzles Cobble Hill Puzzle 1000pc Backyard Birds of N.A.